The purchase of a new home and moving into it is not only a joyful event, but also quite troublesome and time-consuming exercise. And it is not only about transporting things and carrying out repairs. Very often along with the residence have to change daycare. To put the baby in a new kindergarten in connection with the move, visit the district Department of education, which will need to apply for change of preschool institution, indicating the reasons. This will require certain documents. As a rule, it consists of birth certificate of the child, the passport of one of parents, information about which preschool is the child at the time of application, the documents under which ineligible for certain benefits if such is available. Such statements are considered by the Commission on acquisition. After you have made a positive decision, you will get a ticket-the direction from which to enroll your child in the right preschool. However, to obtain such document is not so easy, because to extradite him can only in the presence of this educational institution available. If there is no need to be in place. Once the permit is received, go to the head of the old kindergarten and write the application on dismissal. On the basis thereof to be issued the appropriate order, after the signing of which would be no problem to pick up all required for admission to the new kindergarten documents. The new facility will also have to write the application, to undergo a medical examination and pay the charity a cash contribution. As a rule, when changing the kindergarten again have to go not all the doctors. In most cases, the transfer of the child to another kindergarten team is accompanied by considerable psychological burdens both on the baby and on the parents who are very worried about new teachers. Some children tolerate this event is quite difficult, and the adaptation period for them is long and painful. That is why the first thing you should take care - as the gradual and smooth transition of a baby in a new environment. To do this, talk with your child about the need for such procedures and the possibility of meeting new people. Take the time and talk to the teachers of a new garden on the specific character and preferences of their future students. Not worth it on the first day to leave the baby for a long time. It should allow time for familiarity with the situation. Everything should be relaxed and gradually. Sometimes kindergarten which the child attends, does not suit the parents or the kid for various reasons: frequent illness, poor circulation, lack of attention. Sometimes parents wonder about the translation of the crumbs in another garden, if the family changed their place of residence. In any case, both the parents and the children are very excited about the change preschools. We are talking about the new team, the teachers, the atmosphere. However, this question is not that complicated. 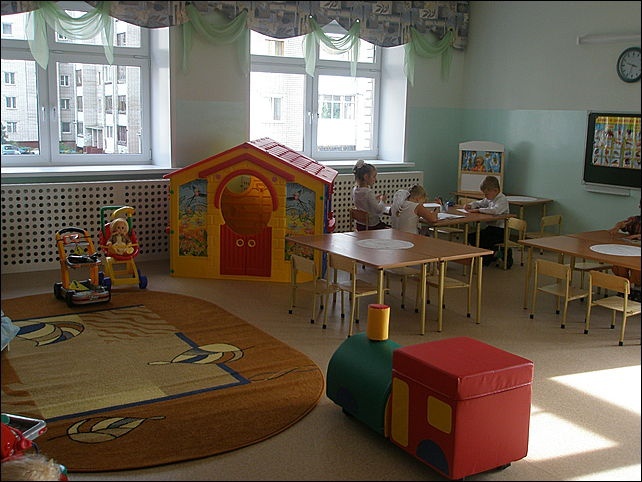 Russian legislation States that transfer the child from the kindergarten to the garden citizens are entitled. The problem is that in our country there is a huge shortage of places in preschool institutions. In this regard, there is the difficulty of finding a suitable place. If you decide that your child will go to another garden, you need to write a letter to the Department of education of your city or area. There it will be reviewed by the Commission on acquisition of preschool institutions. If desired location is, then you will receive a ticket which will go to the head of the kindergarten. If you liked any particular school and you want to have your baby there, you can try to apply directly to the head. If free space exists, the voucher is of course no problem. Difficulties can be, if desired spots in the garden will not. Then you need to get in line for General or reduced (if there are grounds) conditions. If you found a place, you will need to write a letter of resignation in the kindergarten that your child attends. Do nurses need to take a medical card and vaccination record as well as pick up baby items in the group. When entering a new daycare you will have to pay an initial fee, as well as for tests and to pass medical Commission. If the child before receipt in a garden attended another preschool, that all professionals don't need to pass. The list of them you can check with the pediatrician. When mom needs to go to work, kids have to attend kindergarten. However, to get into such an institution is not so easy. You need to stand in line almost from the moment of pregnancy planning to collect a bunch of documents, pay initial fee and so little of this change in his life, not on taste: to adapt to a new team, get used to the teachers and the new regime of the day – all this is so difficult for the vulnerable child's psyche. But sometimes I need to transfer from one kindergarten to another. How to do it? Voucher-a direction, a statement of acceptance of the child in kindergarten. 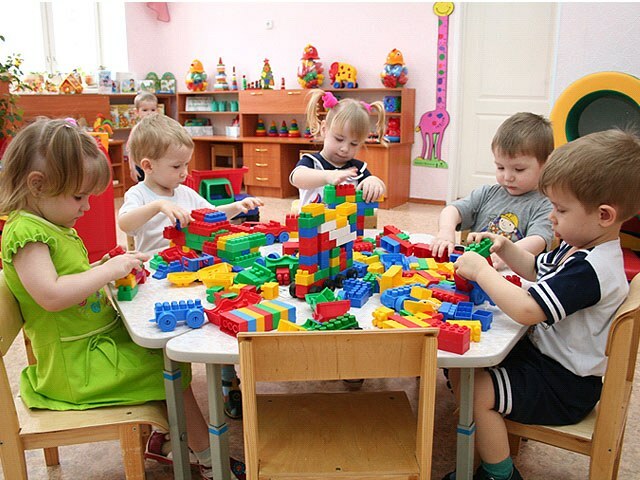 The reasons for changing the kindergarten can be different: moving to another residence, is not satisfied with the work of the staff, the food, methods classes, or just near your home, a new preschool educational institution (DOW). However, the special value they have. Once this situation occurs, it should resolve. Under current legislation you have the right to transfer the child from one kindergarten to another. The reason for this is ticket-the direction issued by the Commission for the acquisition, and the availability of free space in your chosen DOE. So to start ask in a kindergarten, in which you want to transfer, is it possible, is there a free place for your child and what documents will be required for the transfer. If the new kindergarten is a free place for your child, pick up your documents from previous DOE and collect all the necessary documents for a new, write a statement about taking him to daycare. If no room, have to wait in the General queue. In some cases, you may need to re-pass a medical examination. However, it is enough just to take a private matter of the child's previous kindergarten, to take the district pediatrician a certificate stating that the child is healthy and with these documents to come to the clinic of the new DOE. It is possible, if the child has all immunizations made in accordance with the schedule in a timely manner you have paid the fee for the content in kindergarten and the baby was not sick during the period of transfer. No matter for what reason you have to change the DOU, try to make it as less conflict. If you're transferring because you don't like teachers or something else in the children's garden is in a raised voice to speak to the Manager and make trouble. Who knows how things will develop in the new DOE. If you are asked about the reasons for the transfer, tell you it's just easier. Formally to change kindergarten is not difficult. The problem here is different – to pick up the necessary kindergarten, and so it had a seat, and to convince the officials that a substitution is appropriate and is a forced decision. As a General rule, if the area where you wish to have a child in kindergarten, problems with the availability is there, then everything is resolved quickly and in your favor. But where to send their child to kindergarten, you need to stand in line and wait, it's really a problem. In order to change the kindergarten, you will need to have a good reason. You can act either independently or through the Department of education. Since October 2010 in Moscow on these issues, the district referral program (OSIP). If you decide to act independently, then, first of all, check whether there is free space in the garden where you want to transfer the child. If available, talk to the head of the kindergarten and execute the appropriate documents (statements, medical documents, contract, etc.). If no seats available, talk to parents of children attending this kindergarten, with teachers, kindergarten staff, the Manager, it is possible that in the near future, the space can appear, and you will have to keep in mind. It is possible that some parents will be willing to switch with you gardens. To search for places in your garden to place media ads, read the forums on the Internet, hang up the announcement in the garden. If you decide to take official action, they should apply to the territorial authority of the Department (Department) of education. Based on the practice in recent years, we can say that by the end of summer in the committees created a database of information on the availability of data on the willingness of parents to change preschool, etc Write to the Committee with justification for the reasons for the transfer of the child, it is better if the reason is valid. In Moscow the issues of the replacement of the kindergarten is engaged in OSIP. Services operate in each district of the capital. Therefore, residents of Moscow to apply should be there. The valid reasons are considered here as a change of residence, change of family circumstances, replacement of a short stay of the child in the garden for permanent. OSIP staff contact the District Office of the Department of education, clarify the possibility of transferring and then sends you back to arrange documentation. To meet your application will be in OSIP. It should be borne in mind that another solution is to appeal to the conflict Commission, of course, if there is one in your region. Practice shows that the most quickly solve this issue parents, acting on their own behalf.